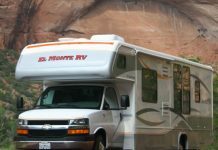 The summer sun’s gone in many parts of the world and while some people still enjoy camping in the winter, not too many of them consider taking an RV (recreational vehicle) trip. Yes, it can be pretty hard trying to drive in some regions due to terrible weather, but there are still some places that receive relatively mild winters. 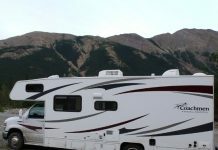 A winter RV trip can be just as much fun as a summer one, especially if you’re into winter sports and activities. In addition, if you’d like to visit some popular tourist sites and attractions, you can usually visit them in the colder months without the large crowds. If you make sure the RV you drive is geared for winter weather, such as having snow tires installed, then you can enjoy a trip no problem. However, you also have to drive carefully and according to the weather and road conditions. You don’t need a gigantic RV in the winter. Just make sure it’s big enough to be comfortable. You’ll find that smaller vehicles are easier to heat and will keep you warmer during your excursion. A smaller vehicle will also be easier to drive on winter roads. It’s a good idea to practice driving it before you pack up the gear and load your family or friends in it. 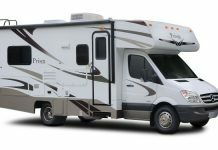 Some RVs are designed more for winter use as they’re made with better insulating materials to keep you warm. 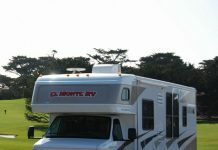 You’ll also have to search for campgrounds that still offer electrical hook-ups during the winter months as some of them only offer them during the warmer weather. You could also consider taking along a generator to keep you warm during the trip if needed. Even though you may be travelling in a warm, safe RV, you still need to make sure that you take along the proper type of winter clothing. 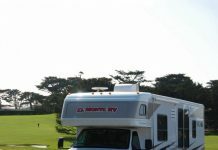 RVs can break down and you have to be prepared for the worst. It’s a good idea to take your gloves, hat, boots, snowshoes, sweaters, and coat. Basically take along the clothes you would during an outdoor hike or tenting trip in the winter. 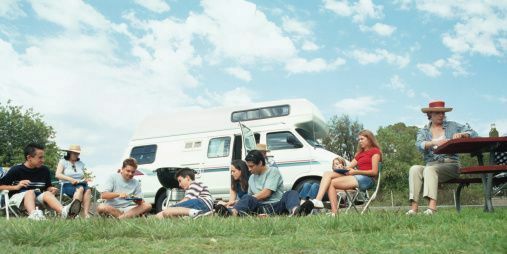 Food is also very important, so stock up a lot of it in the RV and make sure you have enough to last in case you get stranded anywhere along the way. It’s always better to be safe than sorry. A winter RV trip can be a lot of fun if you’re well prepared.